To those of us in the programming world this is uncanny. 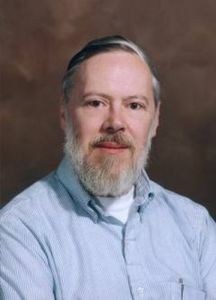 Dennis Ritchie passed away today. To say Ritchie's contribution to computing and our information age was enormous doesn't do him justice. He is on par with Edison, Bell and Pasteur as far as his contribution to humanity moving forward. The brevity of his Wiki page belies his importance. This is the guy who invented the C computer programming language, which is the basis for almost all computing today. Woz, Jobs, Gates, Allen, et al, built their success on Ritchie's invention. Oh and he also was one of the co-inventors of Unix. Denninger provides more detail into Ritchie's contribution here. RIP Dennis, thanks for everything.